This week Ronen illustrates another basic idea in the tactics realm: the discover attack. As he says, when there is an open file, and a piece - or the Queen - is potentially under attack, it's like when you see a red dot hovering over your chest. Nobody has pulled the trigger yet, but you need to pay attention! Attacking a piece by a discover check leads to win material, and often the game. Again, it's important to recognize the patterns which lead to these advantageous situations, and once you get familiar with the patterns, you can find ways to create positions on the boards which will help you use the tactics Ronen is teaching you in this amazing show. In this new video series Ronen tackles one of the most important part of the game: Tactics. And he does this from a beginner and intermediate player's perspective: everyone will be able to enjoy, learn and improve watching this new series. All of us have at least once asked ourselves the typical questions: What is tactics in chess? 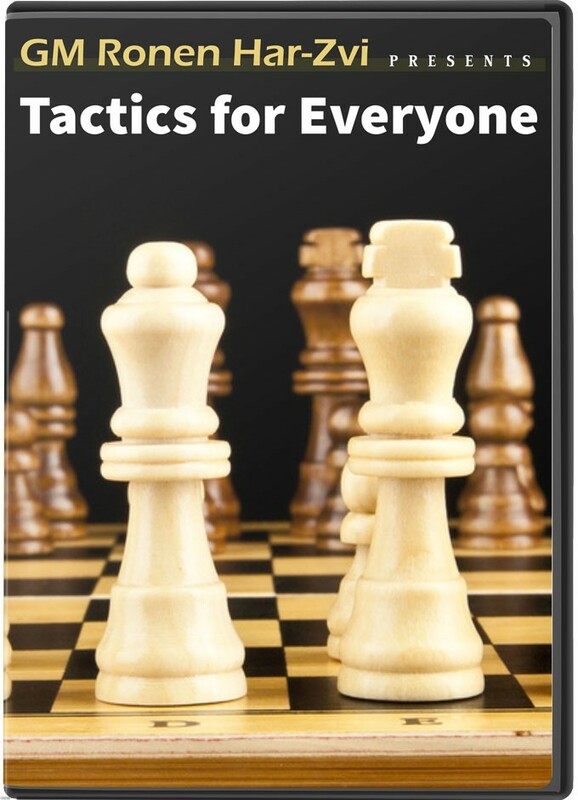 Why is tactics one of the most important piece of knowledge you need to play chess? How to spot tactics in a game? How to take advantage of it? Well, Ronen is here to answer our queries, by guiding us - with many interesting examples - through the basics of chess tactics, such as double-attacks, forks, pins, how to use material to create tactics; to then move on into more complicated topics, such as intermediate moves, double threats, and more. Don't miss this new and formative ICC video series!